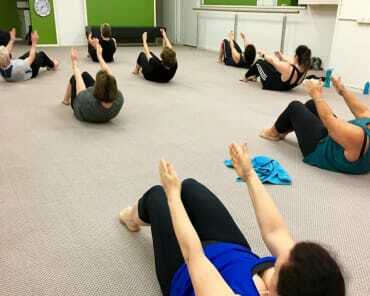 Pilates is universally known for its ability to increase core strength, and giving you flat and toned “Pilates Abs”. But do you know why? Well, firstly let’s get one thing clear. Core strength is not the same as abdominal strength! This is a big misconception that many people have. So as you can see, core strength is pretty complex and abdominal strength is just one part of it. 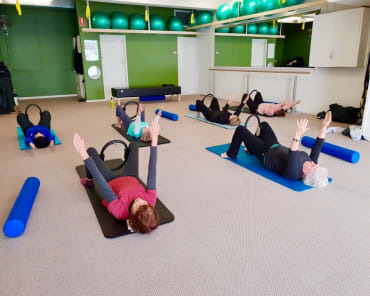 The reason that Pilates “flattens your abs” is that it develops core strength from the inside out, or from the deepest muscles(postural) to the more superficial(that sometimes get called mirror muscles). The deepest abdominal muscle has a funny name but is critical to core strength and also to having flat abs. It’s called Transversus Abdominus and it is the corset or belt of the torso. When this muscle is weak, your lower belly will bulge out and sag…yikes! You will also lose the support that this muscle provides for the lower back. In fact, if you have lower back pain, chances are that this muscle needs some strengthening. Just like a corset, when you have a strong Transversus Abdominus, it pulls your belly in and flattens it out. Now let’s clear up another misconception. Doing traditional sit ups alone, won’t train Transversus Abdominus. 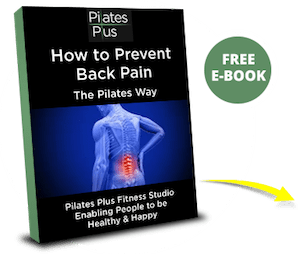 In fact, we see many very fit men and women who do loads of abdominal exercises, yet are still weak in this area with some experiencing ongoing lower back issues. There are very specific exercise that you need to do to get this muscle strong and when you first start Pilates, this is what you will focus on the most. Pilates is a very clever exercise method! It develops all of your muscles in the correct way, gives you great posture, mobility and FLAT ABS! 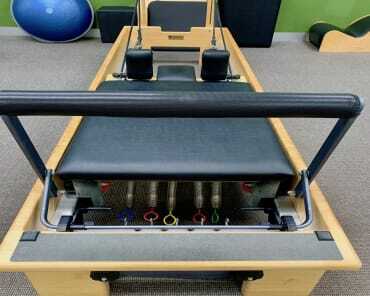 Want to start building your Pilates body?